Glowology: What was the inspiration behind Barewith Accessories – what sparked the idea for the business? 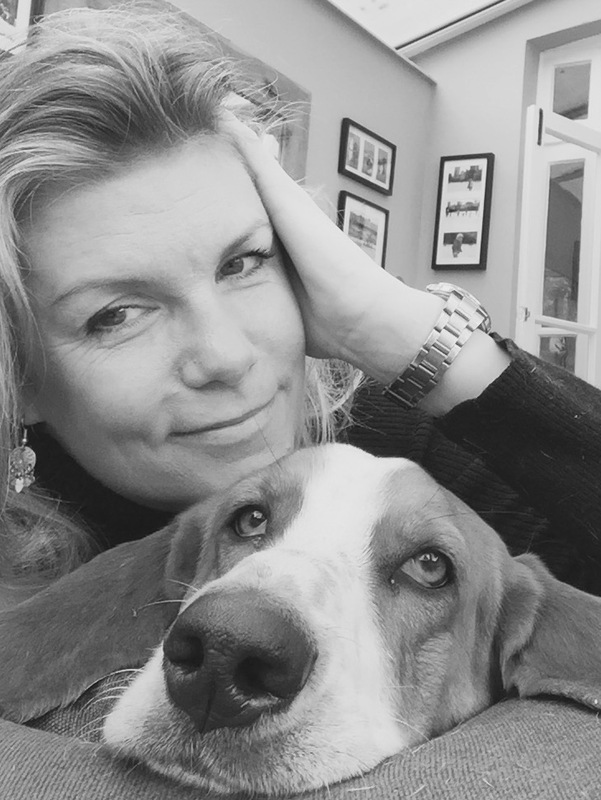 Liz: I worked in the fashion industry from the age of 16, beginning as a Saturday girl in my local boutique and then, after completing a Business degree, I worked in the Buying office for Top Shop and then moved to House of Fraser. I loved my career but gave it up when I had my girls, Olivia 15 and Claudia, 13 and decided to devote my time to them. I never regretted being a stay at home mum but once the girls were older and more independant I realised that it was time for me to re-ignite my passion for fashion. I’ve always had a particular interest in accessories and decided that an online boutique would be the way to go. Glowology: Tell us a bit more about the focus of Barewith Accessories and how you go about choosing the pieces you want to sell. 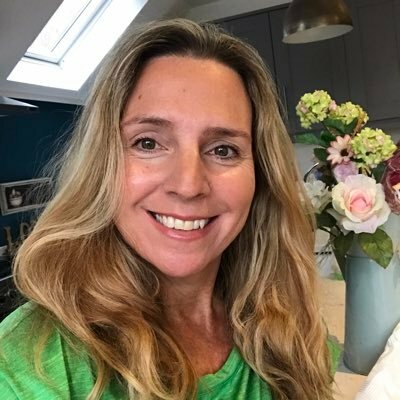 Liz: I started the business in October last year having spent a long time searching for the right products for the website and was really keen to keep them British. 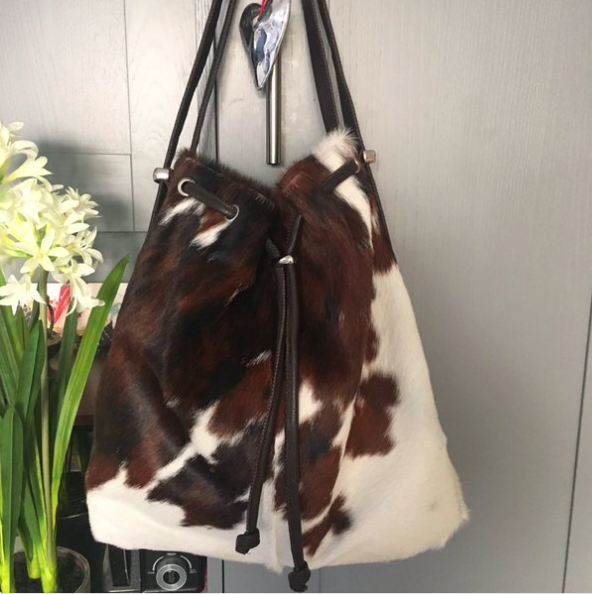 Owen Barry who supply my handbags are a small family run business in the heart of Somerset and all of their high quality handbags are handmade by British craftsmen in their workshop in Street. I think they’re great and having been a Buyer, I kind of have an inkling of what my typical customer would like. 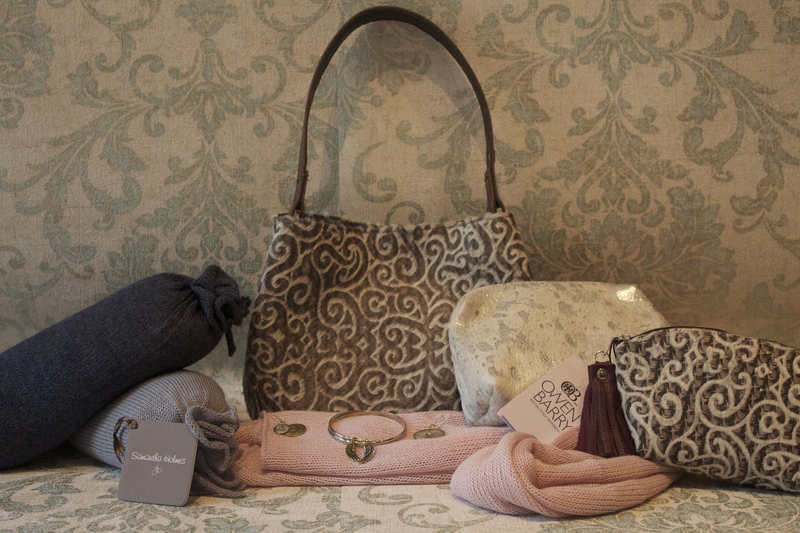 While scouring the country for the perfect items, I thought about how it would soon be time to wrap up warm when I came across a winter range of scarves, gloves and hats, all made from Alpaca wool from Samantha Holmes. She’s based in Scotland and all her products are of the highest quality, and as well as scarves and bags, I also hold some fine jewellery from Clare Hawley. 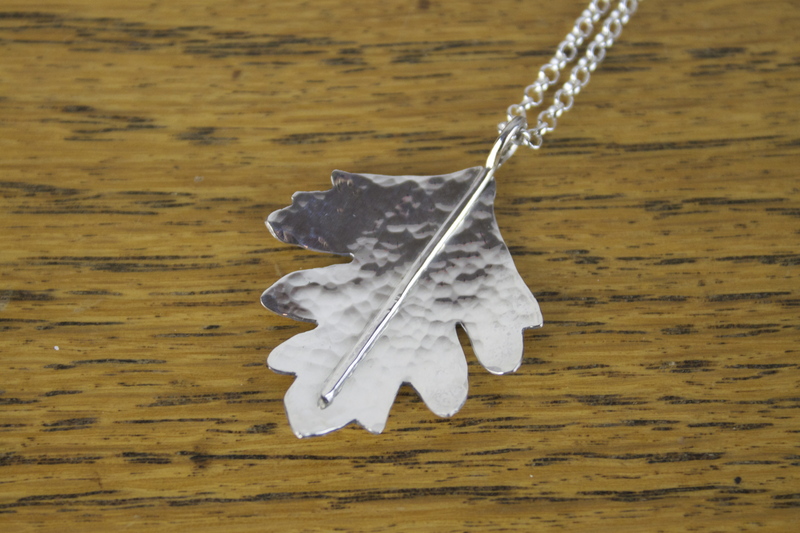 All of Clare’s work is hand fabricated out of sheet silver and gold using traditional silversmithing techniques which I find fascinating! Her workshop is on the edge of Sherwood Forest in Nottinghamshire and you can see from her pieces that working under the eaves of Sherwood, the country’s most ancient Oak forest, has been a great influence on her work. Glowology: Where do you get your love of accessories – is it something you’ve always been passionate about? Liz: I think my special fondness for accessories came when, as a young woman, I realised you could completely change an outfit’s look and feel with something as simple as adding a statement necklace/luxury scarf or beautiful handbag. Like many of us, in my 20s I didn’t always have the money for new outfits, but I was able to make a new look by mixing and matching my accessories. I understood that regardless of budget, a pair of black trousers worn for work during the day could be transformed into an elegant evening outfit with the right accessories. And the power of ‘just the right’ accessory will always help you to shine! Glowology: What are your best tips for stylish accessorising? Liz: When choosing accessorises for an outfit, make sure that they coordinate. This can mean in colour, but can also be weight, texture or some other style or design element. It’s important, just as when shopping for clothes, that you understand what colours and styles suit you best. Always use the accessories to focus on your best feature. For example, a beautiful statement necklace will steer the eye upwards or some stunning heels will steer the eyes to show of a great pair of pins. Glowology: What’s your favourite kind of style? Liz: I love Parisian Chic! We have a lots of French families living in the west London area where I live and they seem to have an effortless style, whether it be for walking the dog, doing the school run or picking up a baguette from Pattisserie Valerie, they just look so together and polished. Glowology: Which celebrity/well know person is your style crush and why? Liz: Growing up I would always look out for pictures of Princess Grace of Monaco. She had a timeless style that was both classic and elegant. Glowology: What are your favourite clothes shops? Liz: Zara is great for affordable fashion with a difference and Reiss is wonderful if you have a little more money in your pocket and want to pick some some stylish but classic pieces. Glowology: What makes you feel happy and good about yourself? Glowology: Do you have any favourite exercise classes? Liz: Anti Gravity Yoga! I am lucky enough to have one of these classes just round the corner. The class takes place in hammocks suspended from the ceiling. 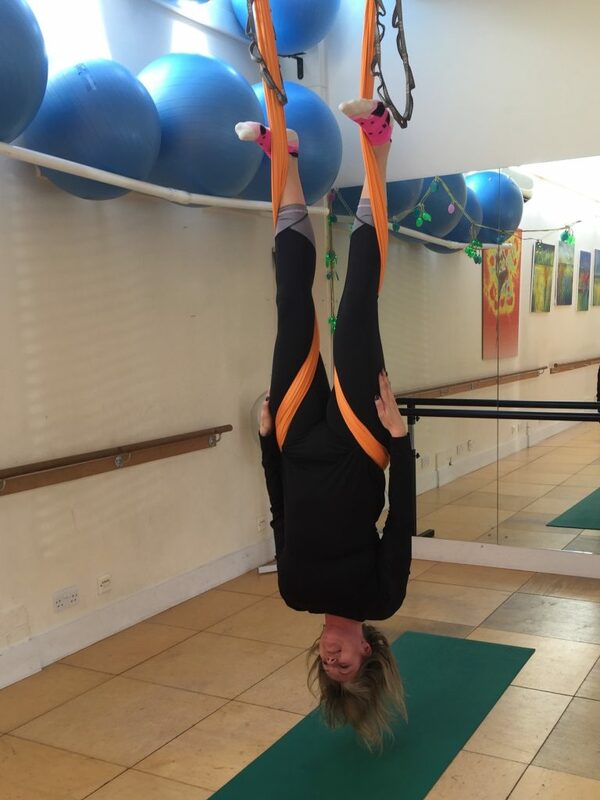 I love the feeling of hanging upside down – it gives you the most amazing stretch and is wonderful for my bad back. Anny, the teacher is amazing (and very patient!). It’s a great way to start the day and is great for wellbeing. Glowology: How do you feel about fashion as you age? Liz: I’m conscious of not wanting to look like mutton dressed as lamb. Most people’s bodies change over time and I believe you have to adapt to that. It doesn’t mean becoming frumpy – you can still look modern and youthful with a few style tweaks. My style has definitely changed; like most of us, I was lucky enough to be able to wear what I wanted in my 20s, but now in my early 40s (cough cough) there are certain shapes that just don’t suit me anymore. I also tend to lean more towards comfort but try not to let that interfere with looking good too. I’m happier to spend a bit more on key pieces that I know will last and will fit beautifully. Glowology: What’s your skincare regime? Are there any products you particularly love and if so, what and why? Liz: I have a very uneven skin tone, so I swear by La Roche-Posay – Rosaliac UV Legere. It evens out the colour of my skin and gives it a lovely soft feel. I then use Olay Total Effects CC cream before dusting with a fine layer of BareMinerals powder. I’ve been using BareMinerals for a number of years now and love the look and feel of it. I’ve recently discovered the wonders of Micellar cleansing water! No matter how much Lisa (Mrs Glowology) would tell me off, I was always bad at removing makeup in the evening and this product has made the task that much easier and leaves my skin feeling fresh. Glowology: Are there any beauty products you’ve tried and thought weren’t worth the money? Liz: I have in the past spent money on some relatively expensive moisturisers but for me they made no difference and I happily went back to my good old Boots No7 creams. Glowology: Do you have any beauty/skincare tips or tricks that you can share with us? Glowology: What have you got in store for the future of Barewith Accessories? Liz: I have recently seen my suppliers about the A/W 16 range and have a new range of gorgeous sets of Alpaca scarves, gloves and hats. 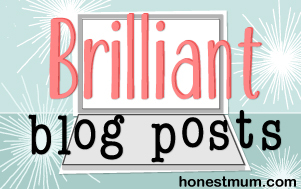 There are also some great ideas for new handbag lines…perhaps my own one day? I’m currently trying to build up my profile on social media which is a lot tougher than I thought it would be but it is essential to get noticed nowadays! At the end of June, Liz is hosting a special Ladies Shopping evening. 13th-19th June is Cervical Screening Awareness Week, so she’ll be raising money at this event for Cancer Research. Click here if you’d like to make a donation. Click here to check out Barewith Accessories and you can also follow Liz on Twitter @LoveBareWith and Instagram barewithaccessories to keep up with the latest style and accessorise news.